Rotterdam - The Tarwewijk Rotterdam. A man transports scrap metal with his ship from one harbor to another. 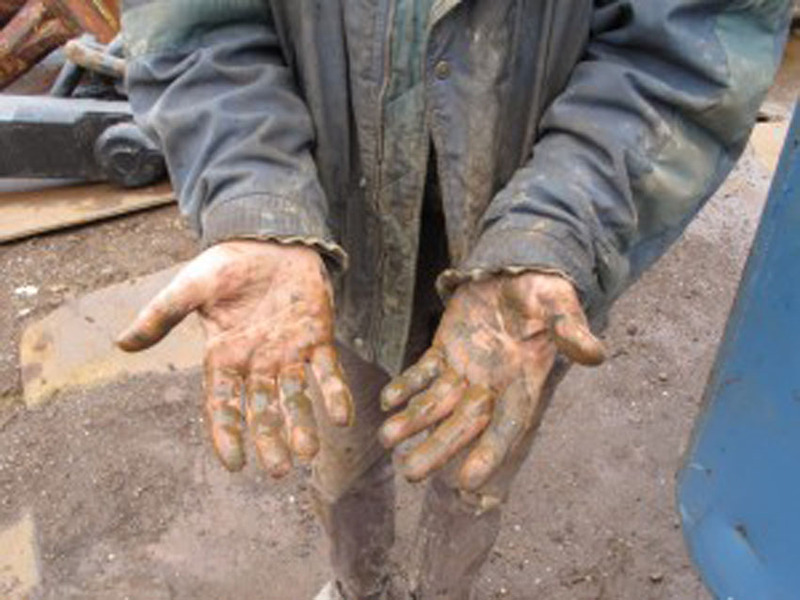 His hands are poison and acid resistant, he says.